Darren McKelvie had a new baby on the way and few job prospects after spending years unemployed when he signed up for the Rangers Charity Foundation’s Ready4Employment course late last year. 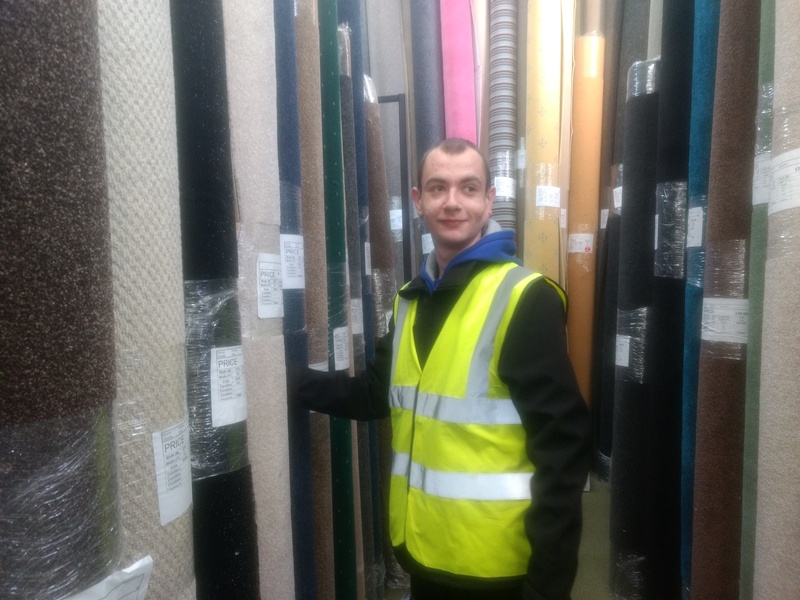 A few months on, Darren has turned his life around and is looking forward to a brighter future with his partner and baby son, having secured a job locally with social enterprise company Spruce Carpets. Darren is learning new skills every day, has earned his forklift driving certificate and is set to gain carpet fittings skills and further forklift qualifications as part of his new role within the company. Ready4Employment helped Darren gain the confidence and motivation he needed to get himself out of the cycle of unemployment and into work. He achieved an SQA qualification as part of the course and a first aid certificate, and also got help with his CV, job searches and interview techniques. Work experience tasters were an important part of the course too, and Darren had the opportunity to add some new skills and experience to his CV from time spent in hospitality within the Club as well in partnership with Go Glasgow Urban Hotel. On completion of the course, the Foundation helped Darren apply for the position at Spruce Carpets which was made available through the Scottish Council for Voluntary Organisations’ (SCVO) Community Jobs Scotland programme. The course is an important part of the Rangers Charity Foundation’s employability work in the local community and brings together agencies such as SCVO and the Department of Work and Pensions to give those with significant barriers to employment the help they need to get back into work. Michael Hollinger, SCVO’s Development Officer for Employment Services added: “The future looks good for Darren with this work under his belt, experience in the warehouse and in carpet fitting and forklift qualifications and first aid. If you would like to learn more about Ready4Employment, and the Rangers Charity Foundation’s other work in the community in areas including employability, health and education, take a look at our community pages here.